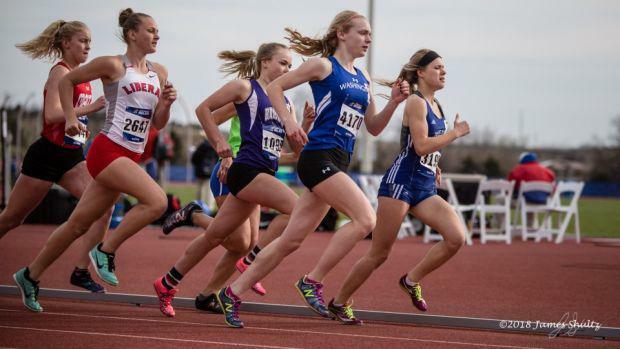 The Class 4 Girls 1600m will see 11 out of 16 State Qualifiers Returning, including 4 State Medalists. For the first time since 2016 we'll see a champion not named Mikayla Reed, but will it still be a Washington Blue Jay? Yes. At least that's my prediction. Claire Ayers comes in with the fastest returning time in Class 4 with a 5:08, and was third at the State Meet last season. That State Meet was huge for her, as she saw monster PR's in both the 1600m and 800m (2:16) so we know she can step on the big stage. I forsee her having two big challengers, the first being Chloe Hershenow of Parkway West (so long as they stay Class 4). She is coming off of her most successful XC season, and also strung together to nice PR's at the State Meet last year in the 800m (2:20)and 1600m (5:12). The next challenger isn't technically a returner, but I think its clear she'll be competing for a title. I normally don't include freshman on these types of lists, but Ally Kruger is deserving and has enough performances in the database to justify having her here. Her 1600m PR from Middle School is 5:16, and being older and consistently running faster races I'm sure will see that time drop even further this year. After a top 10 Cross Country finish, I don't think anyone will be surprised to see her running up front. Below you can find my subjective rankings and honorable mentions.